In this tutorial I will show you how to implement global search for all the websites in the whole WordPress Multisite Network (post search, post search by custom field value, term search). To make the following examples work, you need to install the plugin which will index all network posts and terms, it will also add some specific functions to your websites (network_query_posts(), network_get_terms() etc). Global Search with s= parameter of network_query_posts() function. Nothing especial — everything works like WordPress default query_posts() function. creating a custom page template for global search results, with page navigation. Go to Appearance > Widgets and add the default WP search widget to any sidebar you want. 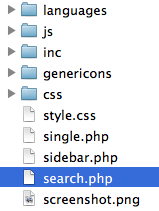 In your current theme folder find and open search.php file. Keep in mind that search.php can be different for every WordPress theme. 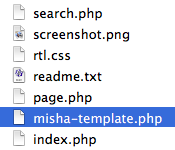 Create an empty file in your current theme directory and name it somehow. Then copy your search.php file content and paste it next to those lines. 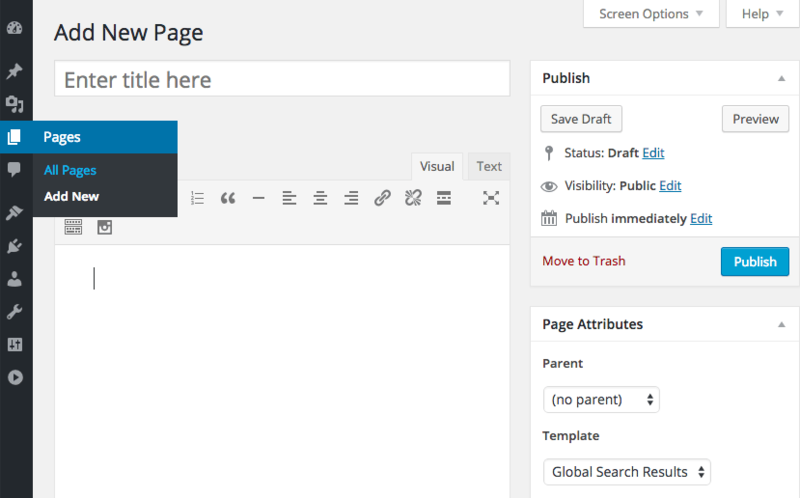 Create a new page Pages > Add New and apply the template to it. Make the code replacements in this file (from the table before). Before your pagination function (it can be wp_pagenavi()) insert the line $wp_query = $GLOBALS['network_query'];. Make sure that your search form has your template URL in the action attribute. You can begin with the simplier way. I hope you already know about WordPress custom fields. You can also read more about meta_query here. 'key'     => 'key2', // OR key2 must contain "wp"
Read more about network_get_terms() function first. // search for categories whose descriptions contain "wordcamp"
// search for post tags whose names contain "wp"
Is it possible to upload a sample? what code sample are you interesting in? I wanted to perform a search of the following multi-site. It is likely to be supported by custom fields below. sorry — I’ve removed some of your unformatted code. First of all — I do not recommend to use pre_get_posts filter for network queries. If you would like to use the AJAX filter, then yes, you can try this tutorial. Everything you have to do is to change WP_Query to Network_Query and wp_reset_postdata() to network_reset_postdata(). A question before I buy the plugin. Is it possible to have a search form only at the Main site to search for all the multisite posts? And then have the default search function on all other sites? Do you have any demo page for this plugin? my plugin doesn’t change standart WordPress queries. Currently there is no demo page. But I’m already think about how to implement it the best way. Thank you for your quick reply! WOW! Okey, that sounds good! How to make a search form for the main site – do you have any tutorial for that? Can I find more information about the search form/result? Just a question about this plugin im consider purchasing it for a multisite blog, can i extend this plugin onto a page rather than adding it to a sidebar? and do the results show on the same page as the search box? i’m looking for a plugin i can use to search a company multisite consisting of 100+ blogs and i was a search bar that can search all the posts on each blog for a specific keyword and return all the results to a single page, is that what this plugin does? yes, you can do it with my plugin. How come you don’t include a separate search form with this plugin in the widgets area. Hmm, thank you for the idea. I will add it in the next plugin version. I left you a support message with my problem. Hope to hear from you soon. I never heard about this warning from my previous customers. I will double check it. I’ve answered to your support message by email. Please look. The problem with warnings is fixed now. I never received it. I’ll send another one pertaining to this post. I’ve sent the mail puplicates to it. can I use this plugin for a marketplace scheme on Multisite? I’d use it to find products across all the subsites/subshops of the sellers. 2) by categories/ or titles and so on, which are pre filled, so the user has just to follow that route. Is there a way to make the plugin works in this 2nd method I’ve mentioned? maybe including the function on each category box/button? yes, it is possible. You can search for products by their titles / content (works like default WP search) or you can search for categories as well by titles or descriptions. Anyway, if you have any problems, I can help you with the code. instead of (typing) the name of that category into the search field. 2) clicking on the term, meaning the category we’ve created in the menu on the main directory. Yes, both of options can be implemented. If you know how to work with basic WordPress functions, this will be easy for you. Any ideas or seen this before? Getting hundreds of these errors every day, even though the actual search is working. it looks like function getmypid() is disabled on your server. Function getmypid() returns ID of the PHP process for the plugin log, I recommend you to clarify this moment with your hosting support provider, but I suppose you could also try to replace this function with time() (just in the code on line 701 in class.model.php replace it). Please let me know if you need any assistance with that. Is it possible to clear the index and re-index everything? I’m getting stale perma-links. Yes, in plugin settings go to the Rebuild Index tab. Thanks. I have rebuilt the index but still get stale data in the search results. Any reason why this is happening? What do you mean under stale data? Describe please in details. The permalinks for posts have been edited but the old links are still coming through in search results. I made some tests and for me everything is OK. When I update a post link or when I change website permalink structure in settings, the index updates immediately. Even no rebuild index required. P.S. I can not find your name / email in orders. Thanks for reply. Manuel Stavropolous purchased the plugin, he is the project manager and I am developer. Could you elaborate on this error message? Does the plugin use the Linux cron or the WordPress cron? Yes, this message means that first of all you have to fix WP_Cron. You can check it just by publishing a simple scheduled post. And please, let me know about the results, because I plan to write a complete tutorial about fixing the server WP_Cron problems. Thank you for this wonderful plugin! Instead of having Network_Query() querying through all multisite blog ID’s, how can I restrict it to only query certain blog ID’s, like 2 & 3? Hello, I’m interested in purchasing your plugin, but I’m wondering if it works with other plugins that allow users to exclude posts and pages from the search index for the default WordPress search, like Search Exclude for instance. Thank you! I haven’t tested it with Search Exclude plugin. Hi, thanks for your quick response! I’m guessing I could also add an extra argument to exclude posts based on a custom field checkbox. Does your plugin work with Advanced Custom Fields? Thank you! Hi, yes, you can exclude posts based on a custom field value with meta_query parameter that is supported by the plugin. Advanced Custom Fields is just a wrapper for WordPress Custom Fields. My plugin works with custom fields. Does the indexer create ‘copies’ of data? I used another indexer and it ended up generating a 1GB DB table. Thank you for the great plugin, intuitive tutorial, all the behind the scenes help and efficient service. My client is very happy which makes me very happy :) Great job! Thanks for the superb post !!! I need your one assistance; I have a querry regarding the multisite widget… Please review my stackoverflow link. Could you please give me an example how the widgets should like like? Hi Misha, I am new on WordPress. I a set up a multisite using human pro as theme. The top bar menu has a search button which I guess uses the WordPress native search tool. My multisite will have several subsites. Can I use your plugin to search through all of them using the search button provided by the theme? If so, is it easy to set up or will I have to copy paste code in sensible files? Thanks you. I do not know your level of knowledge, so I’m not sure if it will be easy for you or not. But you can always contact me by email and I will try to help you with set up. If you mean a post type “page” – yes, it is possible.